Can you make Bermuda’s best Swizzle? • All recipes must contain rum as the base spirit. • Recipes must be original and supplied with the drink submission. • Each entrant may submit a maximum of one entry. • All entrants must be 18 years of age or older. ID will be required. • Each entrant is to supply a min of 1ltr to a max of 1.5ltrs of swizzle in a disposable container. • 7 entries will be selected to compete in the final round during the Cup Match Classic on July 31 and August 1, 2014 at the CellOne Hospitality Booth on the Somerset Cricket Club grounds. • Selections advancing to the final round of judging will be based on: Aroma, balance and overall taste. • Judging will be conducted as a blind taste test. Entrants advancing to the final round will be contacted on Tuesday July 22nd. Full name/Phone number/email/Recipe & ingredients listing. • Final 7 entrants will provide fresh mixtures consisting of the same contents originally submitted. • A minimum of 4ltrs and a maximum of 6ltrs will be required by each entrant. • The submission should be provided in a disposable container. CellOne will not be responsible for returning containers to entrants. In the event the entrants containers are reusable, it will be the entrants responsibility to collect the container at 5pm on August 1st from the CellOne Hospitality Booth on the Somerset Cricket Club grounds. • Each entrant advancing to the final round of judging is asked to resubmit the following: Full name/phone number/email/recipe /ingredients listing. Recipes for the final round will need to be recreated to match submissions from Round 1. Any changes to the recipe will render the submission ‘disqualified’. Swizzle-making bragging rights are up for grabs this Cup Match with the launch of a new contest in the run-up to the holiday. CellOne is the company behind the first ever Summer Swizzler — Swizzle Mix Contest which aims to celebrate not only the drink but the culture surrounding Swizzle in Bermuda. The sweet, spicy, citrus flavours of the island’s favourite party drink go hand in hand with Cup Match, so organizers hope the competition will become an annual fixture on the holiday calendar. The call for entries begins today and the deadline is on July 17. For the first competition there will be two rounds of judging — the first is by a panel of invited judges on Friday July 18. The judges will whittle it down to seven finalists and then the general public will be responsible for the final judging at CellOne’s hospitality tent on the grounds of Cup Match. The winner will then be announced on August 4. Cell One employee and contest organizer Schereene Outerbridge told the Bermuda Sun: “CellOne is excited about adding another Bermudian tradition to its festivities over the Cup Match holiday. “Many people have had a chance to enjoy our hospitality booth on the grounds of both Somerset Cricket Club and St George’s over the past four years. This year, we’ll be taking it up a notch by awarding one lucky winner the title of The Ultimate Summer Swizzler. “We’re a cell company and because we are Bermudian based and founded by Bermudians it was one of those things. 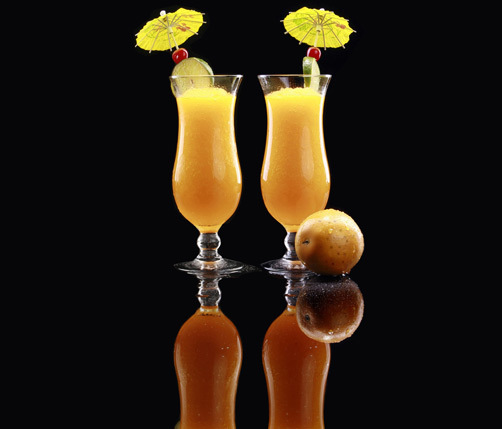 Swizzle is part and parcel of Cup Match and there is a history of rum swizzle on the island. It is considered Bermuda’s national drink, it’s a point of pride and is something that people give out freely. “Every Cup Match I have been to I’ve met people saying ‘you’ve got to try my swizzle, don’t worry about theirs you’ve got to try ours’ — they want bragging rights. There will be prizes for the winners from CellOne and Gosling’s prizes. Outerbridge said that the competition will start off small scale to gauge interest and it is hoped the competition will grow next year to include weekly rounds of elimination and candidate profiles. Ready for phase two Summer Swizzlers?